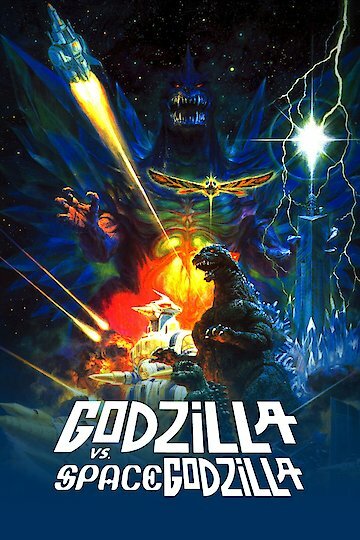 "The god of destruction descends"
Godzilla vs. SpaceGodzilla is a science fiction movie that features the famous Earth-bound monster versus an evil clone from the depths of space. In the special effects heavy faceoff of epic proportions, the two monsters lock up in a deadly battle that threatens to destroy the entire world. The humans try to aid their hero, but can anyone stop the dreaded invader from another world? Godzilla vs. SpaceGodzilla is currently available to watch and stream, buy on demand at Amazon, Vudu, Google Play, FandangoNow, YouTube VOD online.